SYDNEY - The deadly siege began in the most incongruous of ways, on a sunny Monday morning inside a cheerful cafe in the heart of Australia's largest city. An Iranian-born gunman burst in, took 17 people hostage, and forced some to hold a flag with an Islamic declaration of faith above the shop window's festive inscription of "Merry Christmas." The gunman was identified as 50-year-old Man Haron Monis. 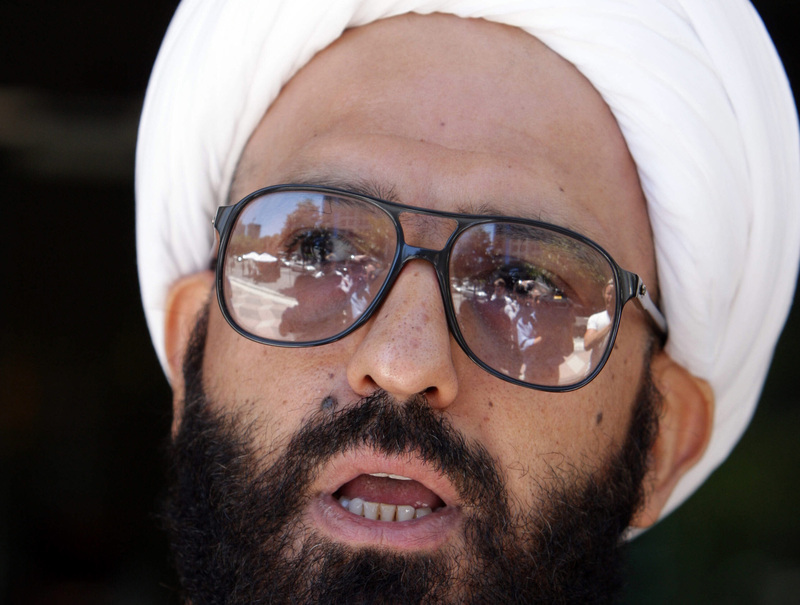 Prime Minister Tony Abbott said Tuesday that Monis wasn't on any terror watch list. He'd previously disclosed that Monis had "a long history of violent crime, infatuation with extremism and mental instability." Monis once was prosecuted for hate mail to families of Australian troops killed in Afghanistan, CBS News reported. He was convicted and sentenced to 300 hours of community service. At the time, Monis said his letters were "flowers of advice," adding, "Always, I stand behind my beliefs." He had also been charged with sexual assault and with being an accessory to his ex-wife's murder. He was out on bail. Monis sought asylum in Australia in 1996 and assumed a new identity. He was well known to authorities. A self-proclaimed sheik, he sometimes protested publicly on Sydney's sidewalks, posting videos to his own YouTube channel. Scipione wouldn't say whether the two hostages who were killed - a 34-year-old man and a 38-year-old woman - were caught in crossfire, or shot by their captor. Among the four wounded was a police officer shot in the face. The second victim, store manager Tori Johnson, 34, is being hailed as a hero -- he was killed as he tried to wrestle a gun from Monis. Officials rolled one gurney out of the cafe carrying what appeared to be a man draped in a blood-soaked sheet with a bloody handprint in the center. Paramedics also carried away a woman with blood-covered feet. "I can only imagine the terror that they've been through," Scipione said. "They are very brave people who in many cases were just buying a cup of coffee and they got caught up in this dreadful affair. We should reflect on their courage." The prime minister also reflected on how an ordinary day turned terrifying. "There is nothing more Australian than dropping in at the local cafe for a morning coffee, and it's tragic beyond words that people going about their everyday business should have been caught up in such a horrific incident," Abbott said. While Monis' motivation for the attack was still unclear, Abbott confirmed he was "well-known" to state and federal authorities. "In the past 24 hours, this city has been shaken by a tragedy that none of us could have ever imagined," Premier Mike Baird said. "The values we held dear yesterday we hold dear today. They are the values of freedom, democracy, and harmony. These defined us yesterday, they will define us today, they will define us tomorrow." "We are devastated by the loss of their lives and that several others were wounded and had to experience such trauma," said the statement from the Swiss company Lindt & Sprugli. "Our thoughts and feelings are with the victims and their families who have been through an incredible ordeal, and we want to pay tribute to their courage and bravery."